As per the current rates, Corporation Bank offers the lowest business loan rate of interest of 13.50%. These rates can vary depending upon your annual turnover, number of years in business, loan amount you have applied for and your repayment capacity. Higher the loan amount, lower will be the rate of interest. You can choose to apply for a business loan through the traditional channel of visiting a bank branch or through a DSA. However, if you are looking for quick business loans without collateral, you can simply apply online at MyLoanCare. You can compare loan interest rates online and also use online Eligibility Calculator to get a rough estimate of your business loan eligibility. Once you fill your basic personal, business and income details, you will get a list of best bank business loan offers. Once we receive your details and also the bank offers you are interested in, we will work closely with our partner banks to ensure that you get best business loans at cheapest rates. MyLoanCare representatives will coordinate with you and partner banks throughout the loan process to ensure that you get quick and easy approval with minimal paperwork. Banks use multiple factors to calculate the loan amount elibility of its borrowers. MyLoanCare Business Loan Eligibility Calculator uses the following factors to give you an estimate about your loan eligibility, amount of loan and best interest rate offer. Self employed professionals – Doctors, CA, CS, Architects. 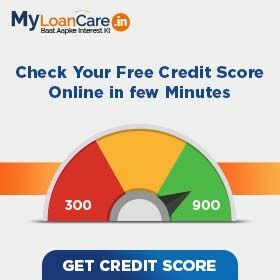 Loan Amount – Loan amount of Rs. 50,000 to Rs. 100 Cr can be availed on business loan. Higher the loan amount, higher the chances to get low interest rate. Loan Tenure – Business loans are unsecured loans and are given for a shorter period. Generally, these loans are given for a tenure of 1 year to 5 years. Income Tax Returns (ITR) – A self employed can get a business loan, only when it has filed regular ITRs for the past few years. Banks consider borrowers who have filed ITRs of 2 years or more as eligible to get a business loan. Banks evaluate your monthly income and repayment capacity based on details submitted in the ITRs. Revenue / Turnover - Revenue is the income that a business enterprise has earned from the sale of goods and services to customers. It is also termed as sales or turnover. In case of doctors, this sales or revenues is measured in terms of Gross Annual Receipts. Most banks and NBFCs ask for a minimum annual turnover of Rs. 1 Cr to be eligible for business loans without collateral. However, there are a few NBFCs and banks which lend to businesses or self employed with turnover of less than Rs. 10 lakh as well. Business Vintage and Growth – Business vintage and growth is an important factor consider by banks and NBFCs to take a decision to give you loan. It gives the bank or NBFC an assurance that your business is authentic, stable and can generate profits to repay their loans. Banks typically look for a business stability or profitability of minimum 3 years for self employed professionals. In case of other businessmen, banks and finance companies require a minimum business continuity or existence of 5 years Banks and NBFCs also specify the minimum growth rate of 10-15% in sales or turnover for the last 3 years to be eligible for a business loan. Further, your business or enterprise should be profitable in the last 3 years. Banking Stability – Banks and NBFCs a check bank statements of minimum 6 months of your operational banking accounts to approve your loan. Banks will evaluate your banking stability and repayment capacity based on your average account balance. Banks will also consider your outbound and inbound cheque bounce information to take a view on your credit track record. How to improve chances of getting a Business Loan ? In case of unsecured loans, each has its own set of policies. If the borrower does not fulfil the bank's eligibility criteria, the bank rejects his/her loan application. So, here are few tips which will help you to improve your chances of getting your loan application improved. Improve Credit Score – First of all, identify the factors that have resulted in a low credit score. Credit score can be adversely affected due to late payment of credit card or default in outstanding loan EMI payments. Defaulting and late payments, both result in bad credit score. It is extremely important to maintain healthy credit repayment track record and make all your payments on time. Always ensure that you have adequate balance in your bank account to make ECS transactions. Avoid multiple loan applications - Sometimes, you apply for business loan with multiple banks in order to improve your chance of getting loan on time. However, applying for loan at multiple banks at the same time increases the chances of the loan being rejected as each query gets captured in your credit report. Customers are also unaware that any loan that is rejected by a bank, has a less chance of getting an approval at other banks as well. Banks tend to become more cautious in lending to customers who have been rejected by other banks. Business Existence – Generally, banks give loan to businesses with minimum business existence of 3 years. For new businesses, start-ups and loss making businesses, chances of getting an unsecured business loan is low. In this case, you should explore options of secured business loans. Apply for a loan amount based on your repayment capacity – Determine the loan amount that you can easily repay in future. If you apply for a loan amount which is higher than your eligibility, it can create doubt in the mind of lender and lead to rejection of your loan application. So, make sure you choose the correct loan amount that you can comfortably service. Maintain proper accounts and financial information- As a business entity, it is extremely critical that you have your GST registration in place. Also, it is advisable to keep audited record of your financial statements, as the same are an important set of documents referred to by the bank at the time of calculating your eligibility. Regularly check your CIBIL Score: As a business entity which can need to borrow frequently from banks, it is advisable to access your credit score report on a regular basis and do regular timely corrections in your report. How to get a high business loan eligibility? Banks consider banking surrogate program to define your eligibility. This helps in assessing your net income. Banks track your 1 year banking behavior to estimate your average bank balance. Your net income is the multiplier of your average monthly balance and if you well maintain your bank balance then it won't come your way to get your loan sanctioned. ITR program also helps to calculate eligibility in case you do not have audited financial statements of your company. Banks are strict to the fact that they need income tax report of past 3 years. ITR of 3 years is important to estimate your income, profit and losses of your business and other deductions. It also shows your tax refund or tax liability. Some banks offer turnover program in which your loan amount eligibility is based on the turnover of your company. Turnover eligibility can be different for different industry segments. Some banks consider minimum annual turnover of Rs. 25 lakh for manufacturers and Rs. 50 lakh for traders. However, there are few banks and NBFCs which give small business loan for low turnovers and loan amount. Industry margin is pre-decided by lenders for specific industry segment in which customer falls. Industry margin is used as a multiplier to the turnover of your company that helps in determining your income. Your income eligibility is calculated as : Industry Margin * Turnover – Obligations. Your eligibility will be higher if your turnover is high. However, banks consider bank statement and VAT returns of 6 months to know your real income which is higher than what you have mentioned in books. Business Loan Rates - Interest rate on business loan depends upon your business, the loan amount you have applied for and your past relationship with the bank. Current rate of interest on business loan starts at 13.50%. Processing fees – Most banks charges minimum processing fees of 2% to 3% on loans. 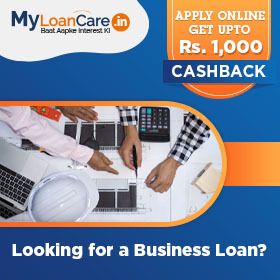 To get lowest fee, comparison of business loan rates, offers and cashback applying online through MyLoanCare. Insurance premium - Since these loans are unsecured loans, it is advisable to take an insurance policy like life and accidental insurance by the name of the borrower when availing a loan. Most banks give insurance coverage to the owner of the company to protect the financial risks in case of any emergencies. However, the premium varies from bank to bank depending upon the risk coverage under various policies and loan amount borrowed by the applicant. So, check the loan terms of the bank carefully to know the coverage and premium. And, consider other banks and insurance companies also who offer better insurance plan for the same amount. Prepayment and foreclosure – Nobody wants to keep paying interest on a loan when you have surplus money available to repay it. When you want to repay your loan partially before time, its called part prepayment. In case you decide to pay the entire loan amount before time, it is called foreclosure. Banks typically levy prepayment or foreclosure charges in such situations and these can be upto 5%. So, check carefully if the low rate of interest you are getting comes with high prepayment or foreclosure charges. Note that some business loans cannot be repaid before time. Corporation Bank is the best bank for taking a business loan based on their current interest rates as they offer low interest rate of 13.50%. Do banks provide loans to small business in India? Most of the top public sector and private sector banks give small business loans in India under various government schemes like Mudra loan, CGTMSE etc. In addition to government schemes, select banks and finance companies also offer unsecured loans to small businesses with an annual turnover of Rs. 1 crore and above based on an assessment of business financials, stability, growth, debt servicing capability and management reputation. Some of the new NBFCs have started offered business loans without collaterals for even smaller businesses, though the rate of interest on such loans tend to be higher than that offered by banks. How can I apply Business Loan in my city? Yes, you can apply business loan online in your city provided you have sufficient turnover, business stability and have good credit history. You can also compare business loan offers for different cities at MyLoanCare. What should be the borrower’s age to apply for business loan? Borrower should be atleast 21 years old and not more than 65 years of age. Does no CIBIL history affect business loan? Yes, banks may reject your loan application if you do not have a CIBIL history or poor CIBIL. In that case, you have to opt for a loan with high rate of interest. Banks consider you to avail gold loan or credit card to build some CIBIL history before you apply for a loan. What factors affect my business loan interest rate? Can I reduce EMI on business loan? You can reduce your loan EMI if the bank offers part prepayment or full prepayment. Most banks allow prepayment after repayment of 6-12 EMI’s and some banks allow after 1 EMI only. So, you can easily opt for prepayment of loan if you have surplus amount and want to lower your burden of EMI during the loan tenure. How can I apply for business loan? You can apply in several ways. You can directly visit the bank branch and meet the sales person, contact a loan agent or apply online at any bank or NBFC’s website. You can also compare business loans rate of all banks online at MyLoanCare and apply for loan. We can connect you to banks with best loan offers at lowest rate of return. We also assist you throughout the loan process and allow you to apply online for a loan without a long tedious process. What is the minimum and maximum tenure of business loan? What are the charges for unsecured business loan? In addition to rate of interest, banks charge the following two fees on loan. Processing fee: Processing fees is charged when you apply for a loan. The processing fee can range upto 3% of the loan amount and can be negotiated down, if you bargain. If you apply for loan through an online market place like myloancare.in, then we negotiate with the bank on your behalf and also, offer attractive cash backs on sanctioned loans. Sometimes, we also get to offer exclusive loan schemes on behalf of the banks such as nil processing fees for our valued customers. Pre-closure fee: This fees is charged when you want to close your loan before the completion of loan tenure. Banks imposes this penalty to cover the loss. Preclosure charges can range up to 5% of the outstanding loan amount. You need to carefully read the terms and conditions of your loan agreement to check on the prepayment clause and ensure that it is not too strict compared to market benchmarks. What security should I provide to get a business loan? For business loans, banks do not ask for security or collateral to approve your loan, though banks needs complete documents to evaluate your eligibility. Does it affect my co-applicant if I default in business loan? Am I eligible for a business loan despite a poor credit score? Yes, you may be eligible for qualifying a business loan even with a bad credit score. But, the lenders may charge a higher rate of interest on your loan and may ask you to apply for loan along with a co-applicant who can take the responsibility in your absence. How much time does it take for a business loan to get disbursed? Business loan disbursement can take approximately 15 working days after all the documents are submitted. Some banks and NBFCs can give you an in-principle approval subject to verification of documents submitted by you and the results of their field visits. In this case the loan disbursement process can also be as short as a week. Nowadays, almost all banks offer attractive schemes on Business Loan at competitive rates with many customer friendly features. You can do rates comparison, check your eligibility, calculate EMI, apply online and get the best Business Loan rates. MyLoanCare helps you throughout the loan process from the day you apply to the time you get disbursement. You can register with us, track your loan status on a regular basis and get an option to earn attractive cashbacks and refer and earn benefits.